"An authentication error has occurred." "The function requested is not supported." 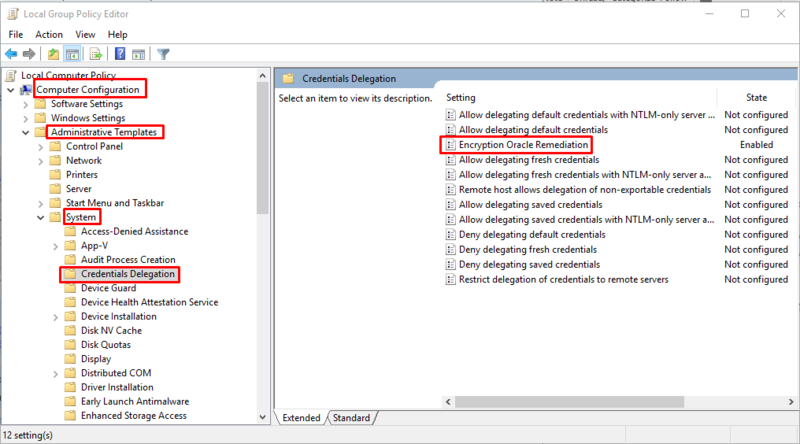 "This could be due to CredSSP encryption oracle remediation. For more information, see https://go.microsoft.com/fwlink/?linkid=866660"
2. 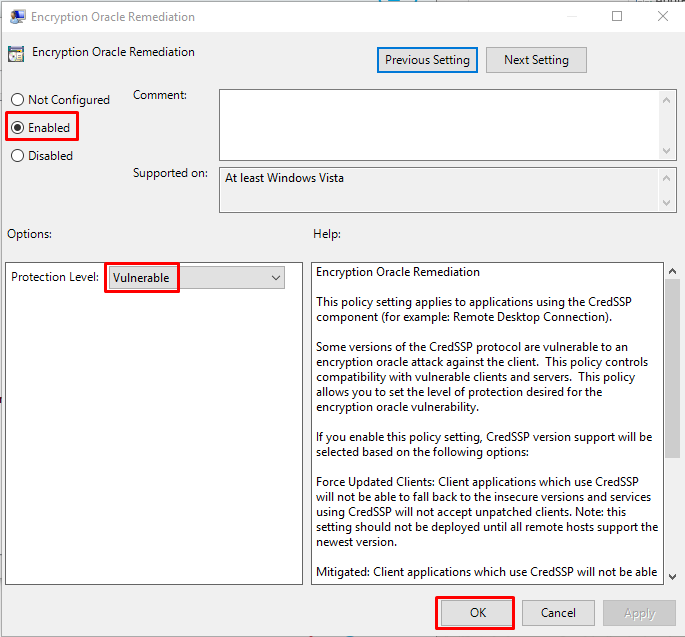 Change the group policy Encryption Oracle Remediation default setting from Vulnerable to Mitigated.